I haven’t posted about a free recipe eBook in a while! So, I am pretty excited about this one. 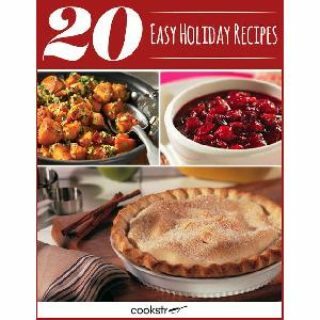 COOKSTR is offering their eBook, 20 Easy Holiday Recipes for free. The eBook contains easy to make holiday recipes. Click here and enter your email to download your free eBook. If you are like me and need a little bit of help finding good holiday recipes, then this freebie is for you!